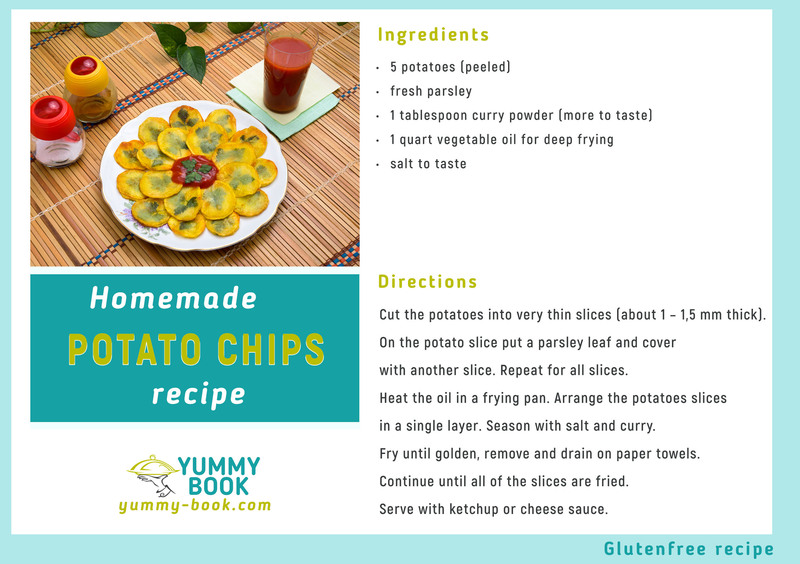 The most popular snack around the world – homemade potato chips recipe! 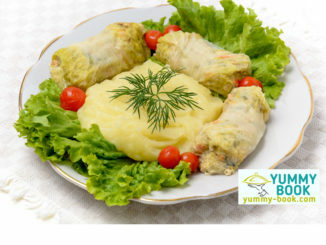 Tasty, quick and easy! This homemade potato chips with parsley leaves the whole family will love. Cut the potatoes into very thin slices (about 1 – 1,5 mm thick). On the potato slice put a parsley leaf and cover with another slice. Repeat for all slices. Heat the oil in a frying pan. Arrange the potatoes slices in a single layer. Season with salt and curry. Fry until golden, remove and drain on paper towels. Continue until all of the slices are fried. Serve with ketchup or cheese sauce. 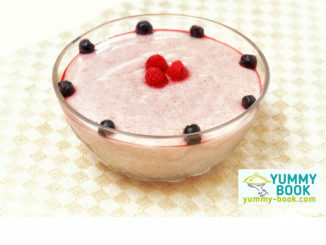 Berry mousse recipe – simple recipe for delicious dessert which made from berries syrup. 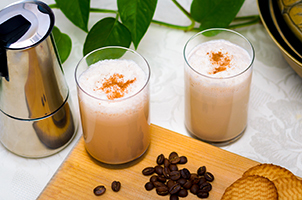 Creamy, lightly and airy mousse for every day! Meatball soup recipe – recipe for hearty soup. 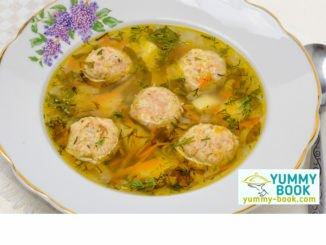 Meatballs and golden broth with potato, green peas and fresh herbs. Gluten free soup recipe for tasty dinner.